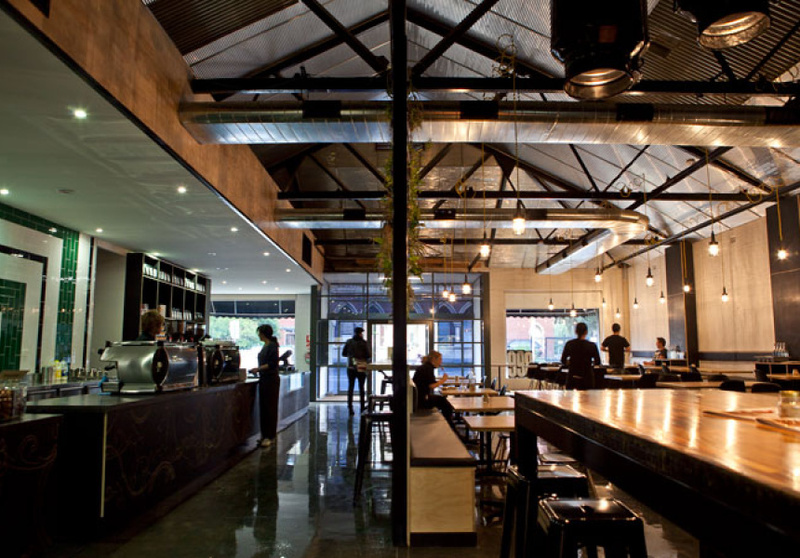 This week the coffee landscape changed when Axil opened its doors to the public. 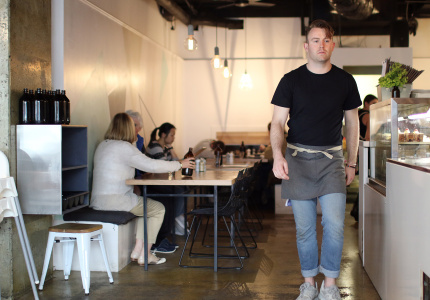 The slick operation by three-time Australian barista champion Dave Makin and partner Zoe Delany is as impressive as they come. 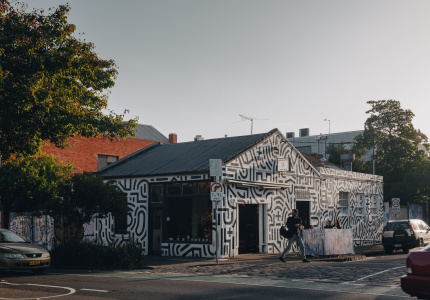 To the east of the city lies a small pocket of Melbourne that claims to house more schools than anywhere in the Western world. It’s quite a feat, and one not without its perks. 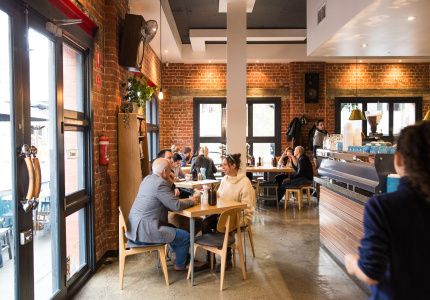 But for those not yet caught-up in the world of Saturday morning football, and weeknights juggled between piano lessons, swimming training and homework, it has became a vast wasteland of serious cafes. 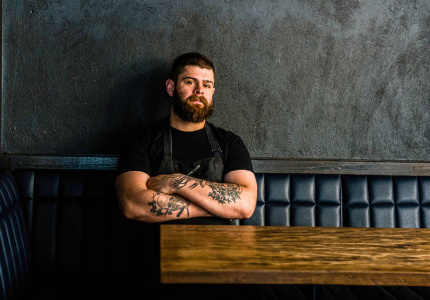 Before his most recent venture, Proud Mary, Nolan Hirte can be credited for educating preened Hawthorn locals on the ins-and-outs of a good single origin with Liar Liar. 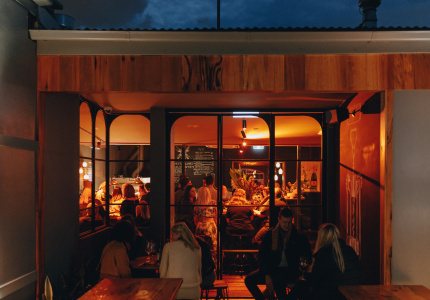 Prior to that, this stretch of suburbs was lagging behind the thriving coffee scene being enjoyed by its northern neighbours. Yesterday that landscape changed, when Axil opened its doors to the public. 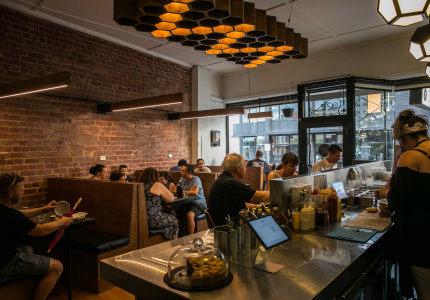 And as serious cafes go, this slick operation by three-time Australian barista champion Dave Makin, and his partner Zoe Delany (of equal coffee nous), is as impressive as they come. Finding a name for a cafe is either so self-evident it hurts, or painstakingly deliberated over. The latter can be said for Axil, which was chosen for its botanical meaning – the axil being the point between the upper side of a leaf, and the stem from where it springs. On a coffee tree it’s here that the flowers grow in clusters. “We wanted to find something that related to where the coffee story begins. It’s important for us to think about where it all comes from, and we wanted to remind people of this,” says Dave. The cafe is only one third of the Axil operation. 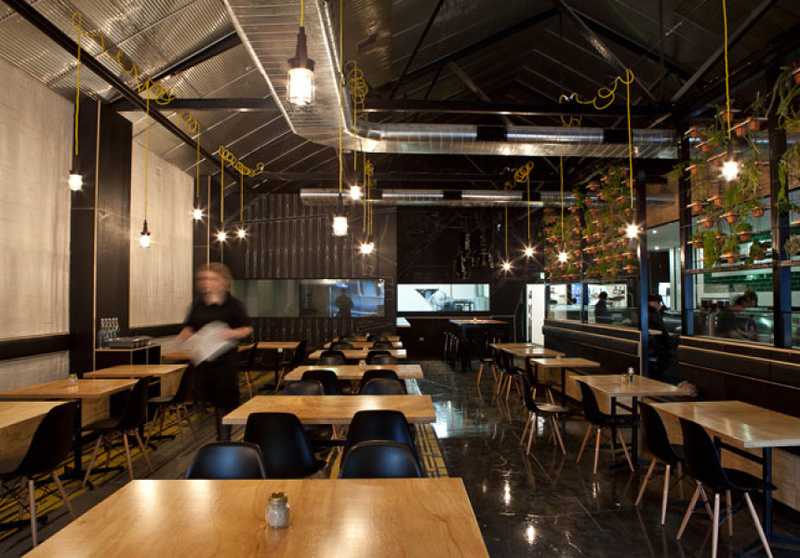 A large strip of a former bowling alley has been converted into a raised communal table. 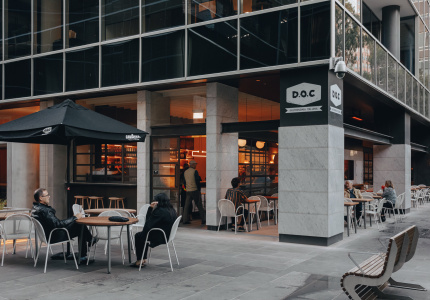 And from here, under the glow of powder-coated milk urns-come-light-fittings (recently relocated from Zoe’s parents’ property near Mt Buller), diners can watch roasters busy at work in the cupping and training room next door. The recently engaged couple met back in 2006 as competitors in the Victorian Barista Championships. “Since then we took it in turns to train one another,” says Zoe. But when the trophy cabinet became due for an upsize, they decided it was time for a new venture. In October last year the first Axil coffee beans were roasted in some loaned space at Coffee Supreme’s headquarters in Abbotsford. Since then they have been selling to the wholesale coffee market, and prowling for a site to call their own. 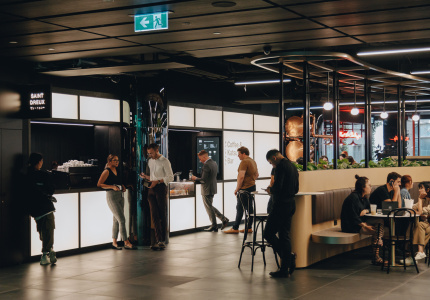 The large, cavernous space now branded with the Axil emblem has a corner devoted to the retail arm of the business, selling their own roasted beans, keep-cups, and coffee equipment for the home. 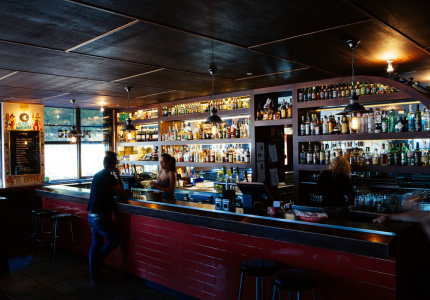 The crew at StStyle have used a minimalist palette to create a brooding, masculine space with a mix of black walls, highly polished concrete floors, a ceiling lined in corrugated iron and a feature wall of white and green tiles. A large slab of concrete runs down the length of the room, bearing the weight of the supporting cast: two custom-built, three-group La Mozzocas. The botanical theme also extends to the fit out. A wall of metal framework lattice, usually found on construction sites reinforcing concrete slabs, supports a variety of succulents that climb from the bench seating right to the ceiling. The real stars of the show however, are the baristas. 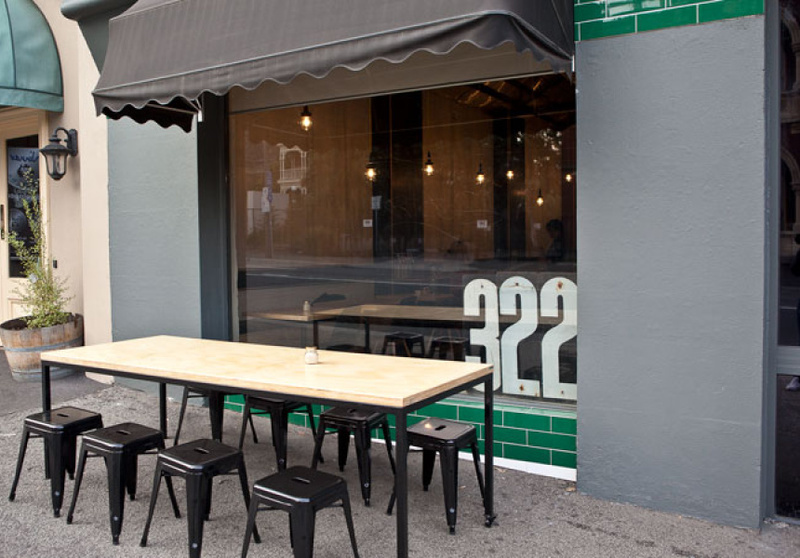 Their crew also includes long-time friend and current Australian barista champion, Matt Perger. 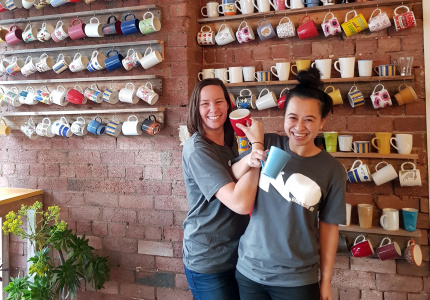 The couple have been training the 20-year-old for the past few years, and will be travelling to Colombia next month when he represents Australia in the World Barista Championship. 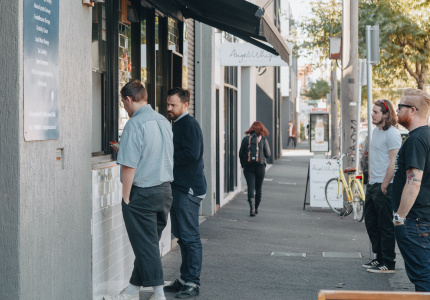 It was also through Matt that the couple met head-chef Andy MacDonald, previously of Lost in South Yarra. “It all just fell into place. Andy came down when it was a construction site and we just got chatting. We got on so well we asked him if he wanted to come on board,” says Dave, and that’s where you’ll find him today. 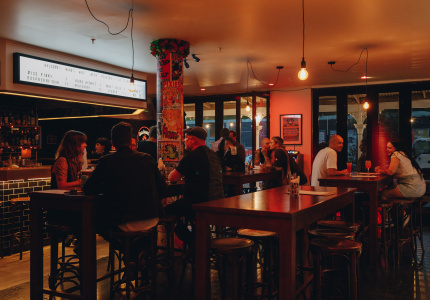 The menu could be broadly defined as modern Australian, featuring a mix of French, Spanish and Middle-Eastern stalwarts. On the breakfast menu you’ll find everything from buttermilk pancakes with chocolate, pear, praline and zabaglione gelato, to a smoked trout wrap with scrambled eggs, avocado and tomato salsa, and snow pea tendrils. The lunch menu is equally as adventurous, and is complemented by four made-to-order sandwiches, including a crispy pork ciabatta with pickles, Waldorf salad and chutney, and a slow-roasted lamb-shoulder wrap with mint, yoghurt and tabouli. For locals it’s been a sigh of relief, and perhaps even those so well serviced in the north will be making their way over to this side of town.